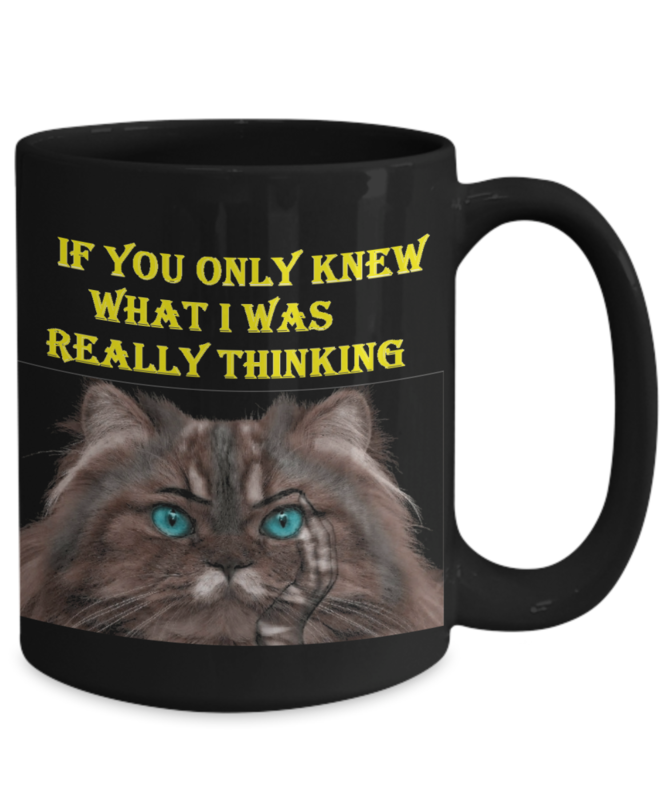 Ever wonder what your cat thinks of you? If you only knew what she/he was really think about you! 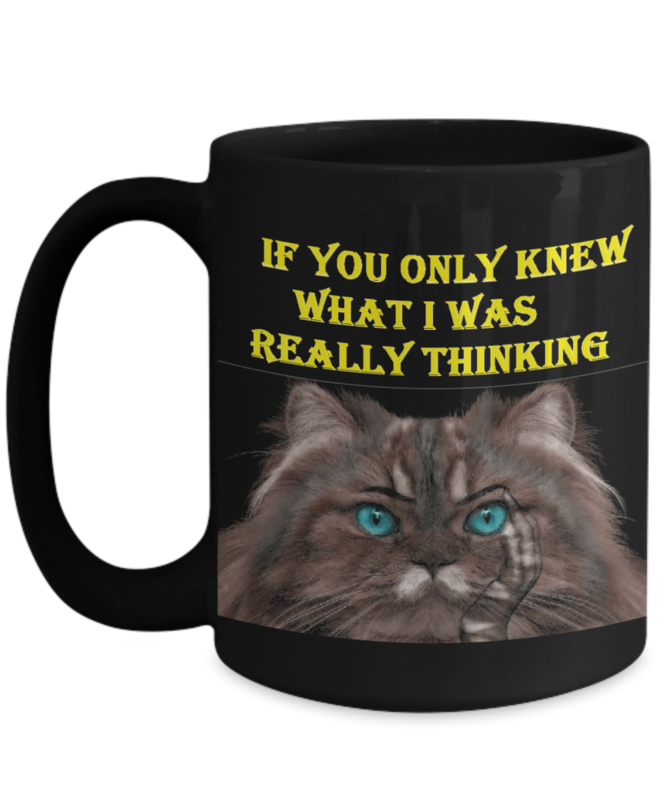 Cat-lovers coffee mug for sure. Get it now before it's gone. A full 15 ounces with image on front and back!